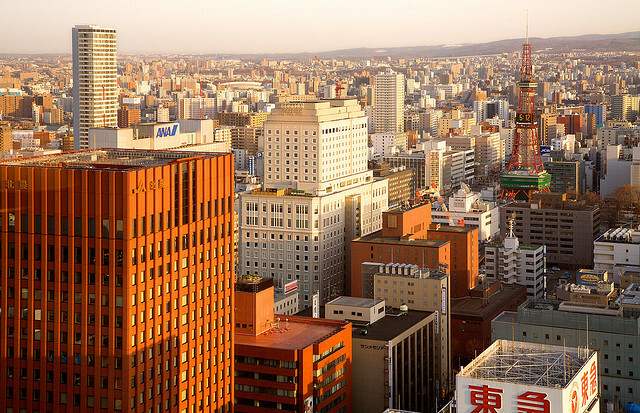 One of Japan's newest cities, Sapporo's population has grown from seven in 1857 to nearly 2 million today. Being a new city, especially by Japanese standards, means it has little in the way of traditional architecture and the like of cities such as Kyoto. ​But what it lacks in "Japanese-ness" it makes up for with its lovely open, tree-filled boulevards to enjoy in summer and excellent snow and facilities in the long winter. Being a wintery kind of place for a good part of each year, Sapporo also has many stores selling all manner of snow goods. ​At the beginning and end of each season, many good deals on the previous year's gear can be found, often at discounts of up to 60% off. Ask Tourist Information Centers to help you locate snow-goods stores. 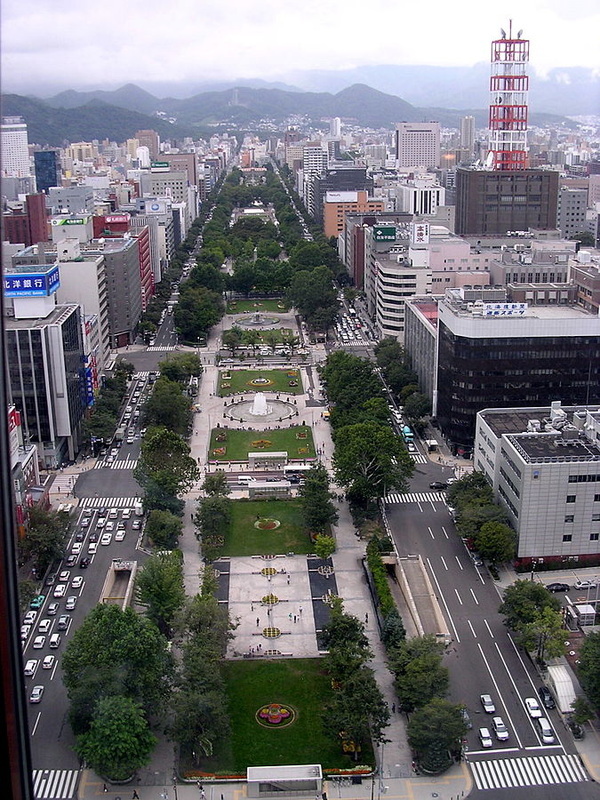 The main thoroughfare, the leafy O-Dori "literally - Big Street", runs east-west across the city and divides the city into North and South, while Sosei-Gawa "literally - Creation River" divides the city into West and East, running under the main street "Eki-Mae-Dori". Sapporo Station is the starting point and terminus for the limited expresses of JR Hokkaido. It also has the tallest building "JR Tower" in Hokkaido. The Tower is located above the Station South entrance, with 38 stories and 173 meters in height. The area's most impressive tourist attraction is the T38 Observation Deck which occupies the tower's 38th floor. The admission fee for adults is 720 yen, and for children 500 yen. Sapporo JR Tower includes the Stellar Place Shopping Mall, the Sapporo Cinema Frontier, and the JR Tower Hotel Nikko Sapporo. It also houses the parking lot and heliport. Esta Shopping Center, just east of the station's south entrance is connected to Sapporo Station and the Subway Train Station by an underground passage. The Sapporo Ramen Republic, a food amusement park based on the theme of ramen, is on the 10th floor of the building. There are eight small restaurants which represent some of the prefecture's regional varieties. The building also hosts a branch of the Bic Camera electronics store and Uniqlo. Sapporo Clock Tower "Tokeidai", a ten minutes’ walk south of the station, is a wooden structure that was constructed in 1878 for the Sapporo Agricultural College. ​It is known by many as the symbol of the city and is a main feature of almost all domestic and international tours of Sapporo. 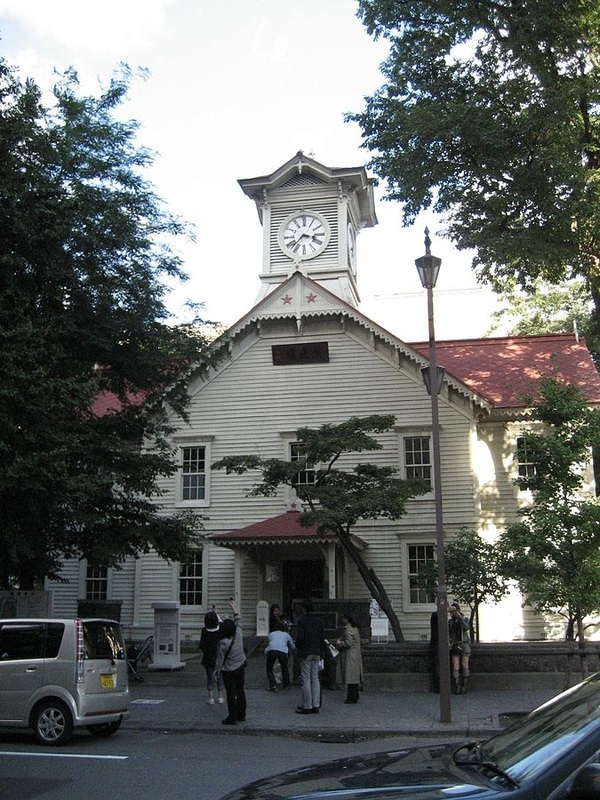 The clock tower now houses a museum introducing the history of the Agricultural College and the development of Sapporo. It is open to visitors year round, but is closed on Sundays and over the New Year period. Admission is 200 yen for adults and free for children, with discounts for groups. ​It is possible for members of the public to rent the large hall on the second floor for private functions, which is also occasionally used for concerts. You can Access Sapporo using planes or trains.